My peoples, how I have abandoned thee, please do not punish me. As always, I give thanks to all of you who continue to stick by me, check for me and make sure that all is good. Living this non-internet life is brutal! Your girl is just fine and I’m ready to bring you the goods. Let’s jump right in. King Reign is a Toronto MC who is sure to be recognized by his distinguishable voice. Who can forget his wicked track ”Guilty Party” featuring Saukrates? It is definitely one of my favourite tracks by Reign. Last Wednesday, I was invited to a listening session for King Reign’s upcoming full-length album. A small group of us were treated to about 19 tracks where we were asked to give insight into what we thought about each one of them. There was a great mix of musical genres and different talents that I’m sure you’re not even aware Reign has up his sleeve. There were a few bangers played that I enjoyed immensely. After the album is put together and all balanced out, I definitely look forward to hearing what the entire package sounds like. Well, until we get to the full-length album, we are being given free music. Who doesn`t like free.99? King Reign has released a 6 track EP entitled Reign Music Vol. 2, which gives us just a little taste of what to expect from the MC. 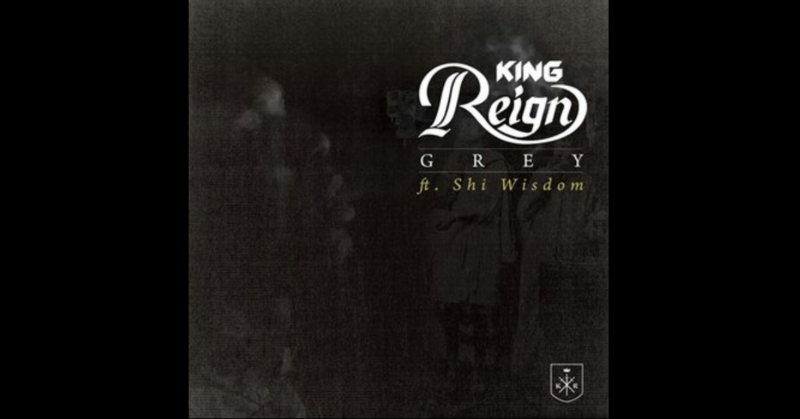 On the recent single ”Grey,” Reign enlists the assistance of upcoming soul siren Shi Wisdom. Shi channels Rihanna`s hit song ”Stay” for a great hook, making both Reign and Shi a great pairing on this one. Keep your ears peeled for what King Reign has coming up with his full-length album that is said to be released early in the new year. Also, make sure to cop the free EP’s that are available on his website.